Got a question about publishing, books, or just looking for some great recommendations? 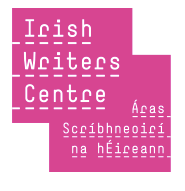 The Irish Writers Centre has kindly agreed to host us on the third Friday in May and June to work from their Parnell Square premises. We’ll pick a corner in the Centre, get to work as usual, and would be delighted to meet to anyone who’d like to come in and ask questions or just have a chat about publishing and what we do. Come say hi, ask about the sector, how the slush pile works, or get us to show you projects we’re working on. Booking is free, and no questions are off-limits (except, of course, legal advice! For any copyright or dispute queries we’ll strongly recommend you contact the Irish Copyright Licensing Agency or the Irish Writers’ Union respectively. Words Ireland is also a good source of information for writers). Sign up online for a 20 minute chat-slot here and we’ll look forward to seeing you! (Update: May 19 is now fully booked with a waiting list, but there are still hours available for the June session). Tramp is grateful to be supported by the Arts Council.